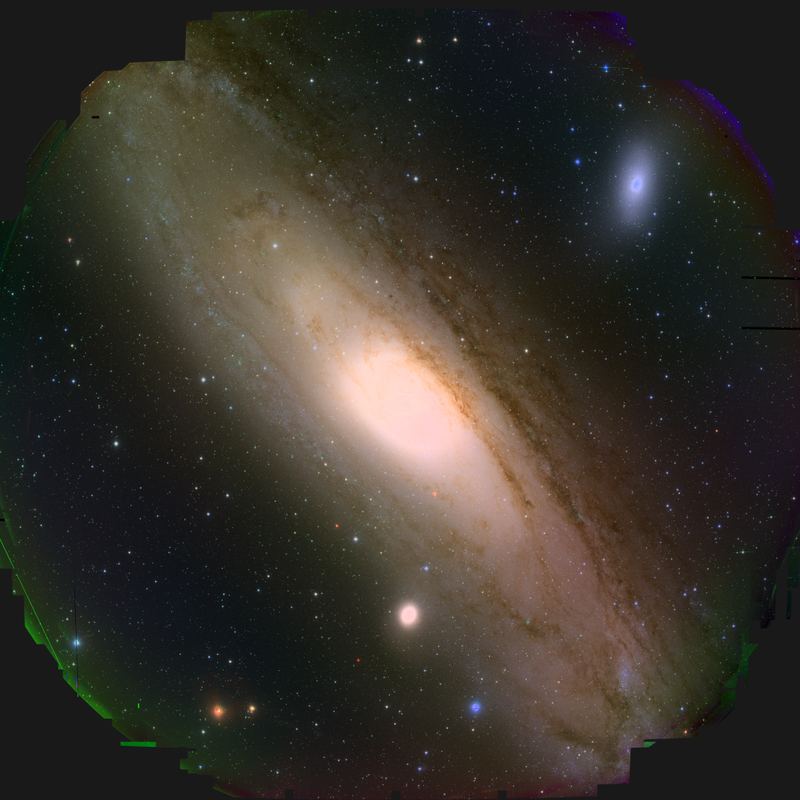 Today, researchers at the Kavli Institute for the Physics and Mathematics of the Universe (Kavli IPMU) released the first image of the Andromeda Galaxy (M31) processed with the data analysis software developed for the Subaru Telescope’s Hyper Suprime-Cam (HSC). The HSC project’s `first light’ was announced last week (A New View on the Origin of Dark Matter and Dark Energy – Image of M31 Heralds the Dawn of HSC -). Researchers at the Kavli IPMU have collaborated with Princeton University and the National Astronomical Observatory of Japan (NAOJ) to develop the HSC data analysis pipeline. The sharp images of stars over such a wide field of view demonstrates the HSC’s outstanding power. Such image quality will be indispensable for researchers hoping to reveal the nature of dark matter and dark energy in the universe.